January 8, 2011 – Nearly a full month after I officially completed the challenge, I made my first clothes purchase in over a year. It wasn’t an exciting purchase, sure. It was a replacement purchase for some items that had worn out throughout the 12 months of my year without clothes shopping. Even that was novel – something wearing out! It had been quite a while since that had happened. To mark this momentous occasion – a return to some kind of shopping – I chronicled the experience with some photos, and a short video. Please to enjoy. 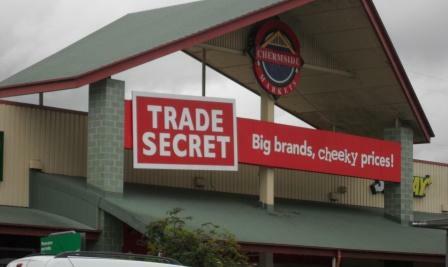 I chose Trade Secret because I knew they had great brands at reduced prices. For what I was looking for, it was perfect. The items I were after are not seasonally-dependent so I didn’t care if they were “last season” or not – they won’t be seen by too many people. 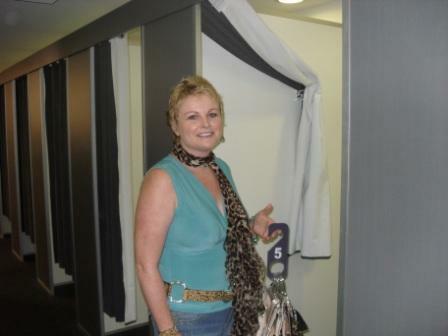 I did a bit of looking around in my chosen department – yes, every possible shape and size is catered for in ladies lingerie. No wonder women get confused. Overwhelmed. Impatient. But not me. Noooo. I had a laser-like focus – colour, style, size: all clear. No diversions. 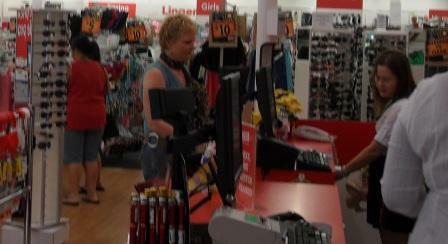 Well, ok I did have a quick diversion – an animal print bra caught my eye. Didn’t really catch anything else, as it turned out, so I left the store without it. You gotta try things on. Some women don’t like the try-on part of shopping. 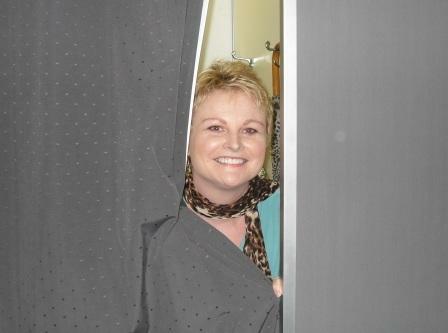 The mirrors in their changing rooms are somehow distorted, reflecting back a “oh, you’re so hideous” image to them. This is especially prevalent in changing room mirrors when one is trying on swimwear and underwear, although no one quite knows why this is so. Well I haven’t been here in quite a while – standing at the register of a store selling clothing. Buying something. 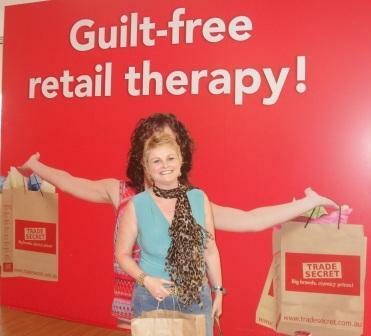 And for the first time in a long time, that slogan “guilt free retail therapy” may be partially true. I wouldn’t call it retail therapy — that’s behind me now. But it was guilt free! Now, if only I could get that great-tasting chocolate to be the same…. 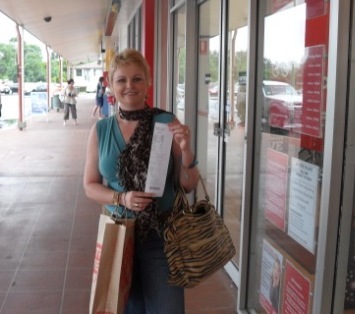 And here’s the proof – I truly am left holding the bag! And finally – a 25 second video of me sharing how I feel — my first purchase after my year without clothes shopping!